In his “Pedagogical Sketchbook (1954),” Paul Klee addresses fundamentals of design in the context of education. He classifies units of visual spatial design – Point, Line, and Plane – and regulating principles that can be used to expand the elements in space. For example, a dot can move (a principle); the footprint of a moving dot creates a line. 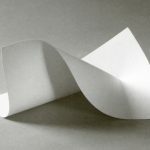 A line, as another type of element, can move again creating a flat plane, etc. These simple elements and the mechanisms that bind them together become the base knowledge of the postwar Bauhaus design curriculum. Design educators, researchers and professionals all have accepted these as the basics that provide us a toolkit, a system to work with. 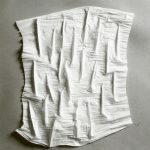 In this project, students are going to experiment using the basic elements to create forms and structures of a surface. The goal of the first project is to make students aware of the basics, Point, Line, Plane, and their expansion in space. The utility of the simple set of elements will be emphasized during the process of creating and developing individual design concepts and the resulting form. 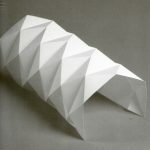 Students will develop a self-standing surface form in 3 dimensional space. 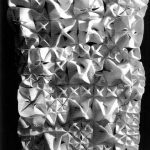 The final surface functions as a spatial envelop. It should be fine to think of the form as a kind of a large horizontal or vertical installation – sculptural piece – that needs no further structure. The final form should be composition of one of the basic elements (point, line, plane) and clearly show that the form is a composite of one or more elements. Design process and modes of design process – synthesis and analysis. Design studio culture (Learning-by-Doing) by working in the actual studio setting. 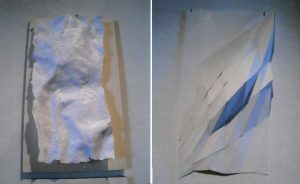 Overall shape construction by building a concept model. 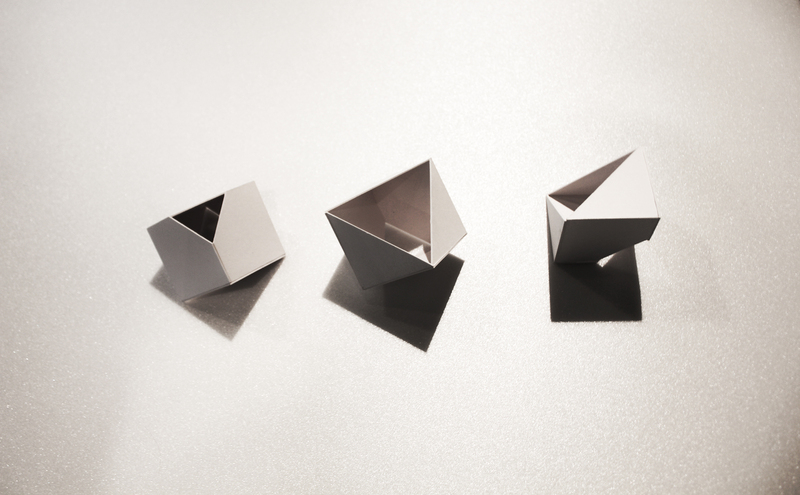 Paper folding, cutting, bending, gluing…starting from actual paper surface design. Individual students can choose their own material. However it is necessary to limit the materials (something that represents lines and linear form). Surface development: This phase of work can be realized as simple surface form such as contours, wall surfaces, ceiling surface with simple structure etc. Ask for detailed description of the work. Use mixture of materials from previous phases, combine them if necessary.